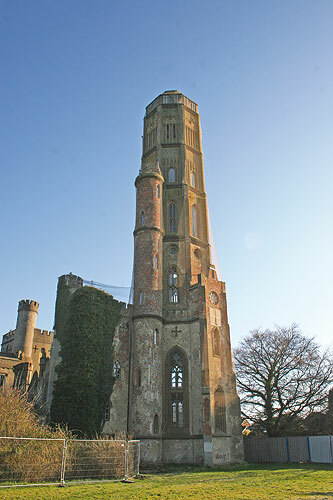 Since suffering storm damage in the 1980s, the Grade I listed Hadlow Tower in Kent has fallen into serious decay. Last year it was acquired by the Vivat Trust, which planned a £4m restoration. 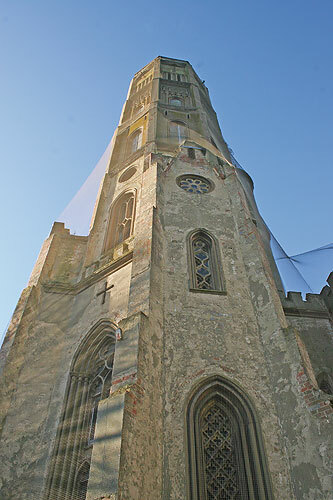 TRAD was called in to provide scaffolding to the entire tower. With nesting falcons and exterior stonework to consider, this was no easy task. The project required a flexible approach and careful planning. For example, the client asked that no ties would be drilled into the building. This was overcome by running a lattice of tubes through the octagonal windows, supported internally from the floor. 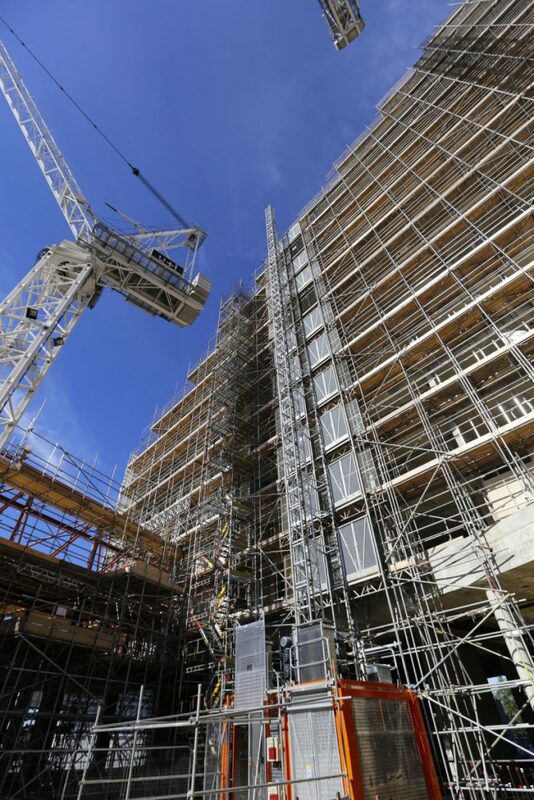 To limit manual handling, we planned to raise up a 300kg hoist as the works progressed, enabling us to raise the tube, fittings and boards to the working platforms. 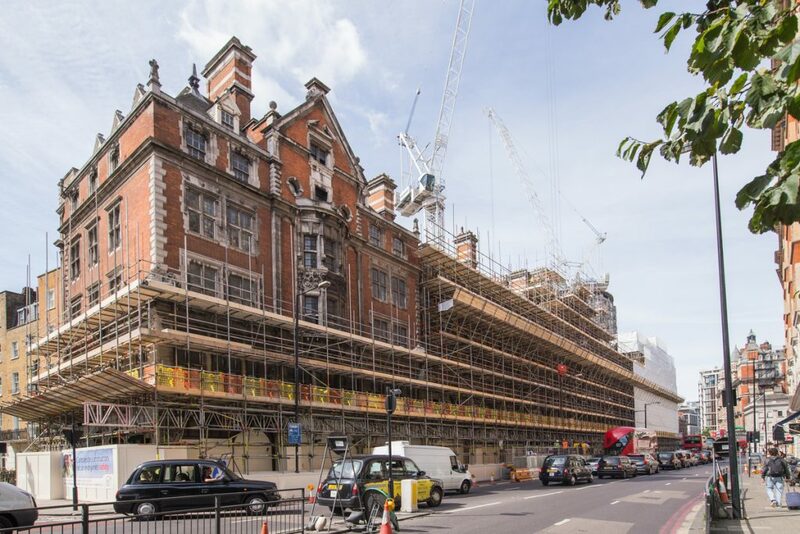 Nesting falcons had been a problem, so we secured netting to the entire height of the building – unrolling it and covering the scaffold as we went, to ensure complete coverage. 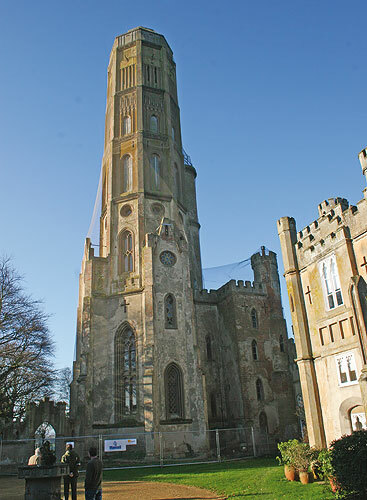 The Tower’s restoration will be of huge value to the village of Hadlow near Tonbridge and the county, and its new function – holiday accommodation with gallery space on the ground floor – will help to ensure its lasting legacy. TRAD will carry out the project in three phase of which we will document at each key stage. As of June 2011 TRAD has handed over the first stage for a period of 3 months.